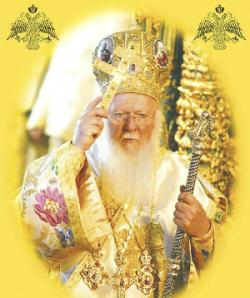 Like his predecessors, Eastern Orthodox Patriarch Bartholomew during his twenty year tenure has had to confront two fundamental challenges: the survival of the Patriarchate in a generally hostile Turkish environment, and his relations with the other independent Orthodox Churches including the administration of his own flock dispersed in Western Europe, parts of Greece, North and South America, and Australia. His All Holiness has certainly made progress in improving the Patriarchate’s position in Turkey, and after a very rocky beginning has advanced greater Pan-Orthodox cooperation, while his record with his own jurisdictions, especially in America, has been at best mixed. Since 1922, when Turkey’s victory over Greece ended over 2000 years of Hellenic presence in Asia Minor, the Patriarchate has been persecuted, subjected to illegal confiscations of its properties and institutions, and periodically threatened with expulsion from its 1900-year historic seat. The most flagrant and recent violation of the Patriarchate’s and the Greek community’s rights occurred during the barbaric and tragic ethnic cleansing of September, 1955; a government-instigated program that demolished churches and businesses, and effectively ended a viable Eastern Orthodox presence in Turkey; which now numbers a mere 2,500. This was reality facing the 51-year old newly-installed Patriarch Bartholomew in 1991; a condition which his two predecessors, the internationally-known Athenagoras and the more reserved Dimitrios, confronted as they attempted to preserve the Patriarchate’s declining strength. It is fair to conclude that Bartholomew, despite many obstacles, including serious plots against his life, has not only managed to preserve his position within Turkey but has clearly emerged as a prominent international religious figure. This has been due to an almost superhuman traveling schedule and an increasing ability to connect with broader audiences on such contemporary issues as human rights and protection of the environment; the improved effectiveness of his supporters both in Europe and America; and probably most significantly, a gradual but definitely more favorable stance towards the Patriarchate both by the Ankara government, particularly the current Erdogan-AKP regime and Turkish public opinion. Turkey’s behavior toward the Patriarchate hardly meets any acceptable international standard of religious freedom, however. Turkey still refuses to reopen Halki, the Patriarchate’s premier seminary shuttered since 1971 – or to permit publication of its journal, Apostolos Andreas, and Turkish law alleges that Bartholomew is not the Ecumenical Patriarch but merely the local Eastern Orthodox Archbishop. Still some concrete progress has made. On Nov. 29, 2010, (The Feast Day of Saint Andrew the Apostle, the founder of the Patriarchate) the Turkish government complied with a European Court of Human Rights decision and returned to the Eastern Orthodox Patriarchate a large Nineteenth Century building that once housed an orphanage. This past August Turkey issued a degree mandating the return of all immovable property to non-Muslim foundations (entities) illegally expropriated since 1936 and for compensation to those entities whose properties were now in third party hands. Following that announcement, Turkish Prime Minister Erdogan appeared at a dinner ending Ramadan and with Patriarch Bartholomew at his side strongly endorsed the decree to the assembled representatives of Turkey’s non-Muslim communities. Other “friendly” gestures toward Christian minorities were initiated in 2010 and again this year, when Bartholomew with other clergy celebrated for the first time in almost 90 years a liturgy on August 15, the feast day of the historic Pontos Monastery of Panayia Soumela, near the city of Tapezounta. Thousands of worshippers came from all over the world for this highly emotional religious service as did many Armenians for a similar service at an historic Armenian church in far Eastern Turkey. That follows earlier actions that allowed the Patriarch to conduct services in Cappadocia and at other holy sites in Turkey. The Patriarchate, concerned that candidates for Ecumenical Patriarch were limited to Turkish citizens, has also welcomed the government’s decision to grant Turkish citizenship to hierarchs outside the country. Some have already accepted the offer, although critics claim any Greek Orthodox cleric regardless of nationality should be eligible. Certainly those actions by Turkish authorities, most specifically the Erdogan government, have not been adopted in a political vacuum. Pressures from the European Union with whom Turkey maintains strong economic and political ties and hopes to join, and from the United States have certainly figured in Turkey’s equation. As does the country’s growing economic strength and political influence and Erdogan’s attempts to demonstrate to world opinion that a moderately Islamist Turkey is a genuine democracy no longer controlled by long entrenched Kemalist military and economic forces. Assisted by the Patriarchate Archons and others in the Greek Orthodox diaspora, Bartholomew has received extensive public exposure in Western Europe and America. Because of this diaspora influence, Bartholomew has had personal meetings with the last four U.S. Presidents and other important public and private sector figures. Just this past July, Secretary of State Hillary Clinton visited the Patriarchate and called upon Turkey to reopen the Halki seminary. The American media has been equally forthcoming, recognizing the Patriarch for his environmental and human rights activism with reports and interviews in such venues as the Wall Street Journal, New York Times, Sixty Minutes, CNN, and the Charlie Rose show. Unlike his earlier visits to the United States, His All Holiness now seems quite comfortable and effective in delivering his message. In terms of contemporary Orthodoxy, Bartholomew’s enthronement virtually coincided with the end of the Cold War, which liberated millions of Orthodox in Eastern Europe and created conditions which for the first time in history, the Eastern Orthodox peoples were free from internal or external oppression. The reemergence of both the small and enormously large independent Orthodox churches of Albania, Bulgaria, Romania, Russia, Serbia, Ukraine as well as entities in Central Europe, the Baltic States, and Poland completely redrew the map of international Orthodoxy. Bartholomew’s predecessors were either prevented or conveniently disinclined by Cold War divisions to work directly with those churches; which many considered to have been puppets of their Communist rulers. This new reality presented Bartholomew and his Orthodox counterparts with unexpected opportunities for cooperation but also with ecclesiastical frictions that had festered for years under tight Communist control. Division erupted early in Bartholomew’s tenure when serious disputes arose with the Patriarchate of Moscow over an independent Estonian church that Russia opposed and Constantinople supported, ecclesiastical arrangements in Western Europe, and competing and still unresolved claims concerning the Orthodox Church in Ukraine. Those differences led to an unprecedented suspension of relations between the Patriarchate and Moscow in 1996, a rupture that was eventually repaired culminating with Bartholomew’s 10-day visit to Russia in September, 2010. A highly public and bitter dispute also erupted in 2004 between Bartholomew and the late Archbishop Chrystosomos of Athens over who controls certain dioceses in Greece. The controversy became so intense that the Greek government was forced to intervene and imposed a settlement, but not until the patriarch’s prestige had been damaged badly. Perhaps the most serious and direct challenge to Bartholomew’s leadership took place in America surrounding the controversy over the barely-disguised and rather unceremonious removal of the highly respected Archbishop Iakovos and the appointment of his successor, Archbishop Spyridon. It is believed that Iakovos, who dominated Orthodoxy in America for over three decades, was ousted because he signed a now famous or infamous declaration that called for a united church in America. Some assert that the Patriarchate – startled by what it considered an unauthorized call for unity – found in Spyridon a more pliable representative in America than the dynamic, albeit aged Iakovos. That was not to be, however, as Spyridon’s relatively short tenure was dogged by continuing controversy and division – not all of his own doing – which led to his removal and to the appointment of the even-tempered Archbishop Demetrios, whose ten years have at least on the surface brought both a relative serenity and an absence of energy and initiative to Greek Orthodoxy in America. Bartholomew’s decision to send Spyridon to America – an important responsibility of which he was barely capable of fulfilling – reflects a continuing, although hopefully diminishing tendency toward impulsive and stubborn decisions. Those characteristics have been demonstrated in his various disputes with other Orthodox leaders, most notably in his attempt to impose unnecessary and counterproductive control on his flock in America. With the collaboration of Demetrios and a group of “select,” wealthy laypersons, Bartholomew imposed a charter that has drained the American Archdiocese of its unique vitality in self-governance; qualities that have helped the Church to grow and thrive. In the same vein, the patriarch’s inexplicable decision to elevate existing bishops that previously reported to the archbishop in New York to metropolitans directly answerable to Istanbul has undercut Archbishop Demetrios’ authority, resulting in a hierarchy that with few exceptions is arrogant, intellectually and theologically mediocre, administratively incompetent, and most importantly, spiritually deficient. One observer said these decisions reflected the fear of another Iakovos emerging and the preference for a more controlled, apathetic Archdiocese of America as opposed to a more independent and vibrant one. The Orthodox Observer reported that Eastern Orthodox Patriarch Bartholomew during his seven official visits to the United States, Bartholomew has visited a total of fifteen states at least once. If during those trips he and his entourage had probed deeply, they would have learned about: metropolitans summarily dismissing duly-elected parish councils because they would not submit to their arbitrary demands, entire communities denied Mysteria (sacraments) because of minor disputes over money, and lifelong parish members excommunicated, locked out, and barred from entering their churches because of disputes. Essentially, metropolitans acting as monarchs rather than humble servants of God and His People. Surely Bartholomew, whose efforts regarding world peace, human justice, and ecological reverence have been breathtaking in their expanse and commitment, does not wish his legacy to be blemished by inattention to the legitimate spiritual and ecclesiastical needs of his communicants in the United States and elsewhere. As the wise Greek adage advises: “Prota To Spiti Sou” – tend to your home first. At the end of the day, Bartholomew – a person of extraordinary devotion and talent – is by his own self-description “First Among Equals” in the Orthodox world, and whose mandates is to lead the effort to unify or at least gather all of the Orthodox together. He responded to that call by convening an extraordinary Synaxis of Orthodox leaders in October, 2008 at the Patriarchate. 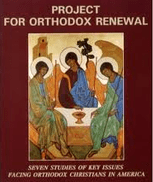 The Synaxis endorsed Bartholomew’s call for a Great and Holy Council of Orthodoxy and for the formation of Episcopal Assemblies in America and other “New World,” non-majority Orthodox areas, which ultimately would lead to unified Orthodox Churches. Under Demetrios’ leadership, supported by devoted clergy and laity alike, the American Episcopal Assembly held two meetings in 2010 and 2011, but progress has been slow as has the pace toward a Great and Holy Council. That is the point at which the patriarch’s twin challenges of surviving in Turkey and leading Orthodoxy toward unity converge. The Ecumenical Patriarchate must survive to convene a Great and Holy Council. 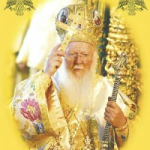 Conversely, the Patriarchate’s survival ultimately depends on a Great and Holy Council which would to give flesh and meaning to its claim as the spiritual leader – not the Pope – of the Faithful Orthodox millions. If there is an Achilles’ heel in Bartholomew’s emerging legacy, it is that he may not perceive the urgent necessity for these “Pan-Orthodox” actions or that he might be fearful of change. As one priest bluntly stated, “‘unless we change, not in dogma or belief, but in how we approach our people, then this may be the last generation of born Orthodox who will remain Orthodox.” For as the faithful become more “American,” and not just ethnically, they will be more susceptible to the free market of competing religions that the country’s founders established. The high number of interfaith marriages and converts joining the faith is already changing the Orthodox Church. Bartholomew and his fellow Orthodox leaders must respond to that challenge by creating the conditions for a unified Orthodoxy in America which will remain true to its spiritual roots – largely a legacy, lest we forget, of the great Hellenic fathers. During his two decades of service, Bartholomew had demonstrated stubborn tenacity, a cosmopolitan personality and an ability to lead. 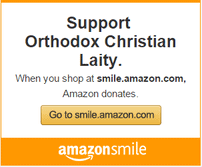 With our prayers and support, Bartholomew is certainly up to the task of helping to steer Orthodoxy both here and abroad toward greater unity; a unity built on the conciliar Orthodox tradition of where there is mutual respect between hierarchy, clergy, and laity. Originally published on November 5, 2011.